Health Check Screenings are available Monday and Tuesday mornings from 7:30 am-11:30 am by appointment. Preventative health screenings with no doctor’s orders are available for individuals 18 years of age or older, these screening tests are mentioned below. 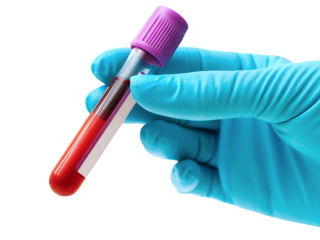 Other blood tests can be performed with a doctor’s order at the time of service. For more information or to make an appointment please call 309-837-9951 ext 227. OOPS (Ounce of Prevention Screening) is one of our routinely ordered tests. A comprehensive screening that includes a complete metabolic panel (CMP), a complete blood count (CBC), and a lipid panel. You can also include the Thyroid panel at an additional cost. CBC includes nine different tests that include a differential white blood cell count, hematocrit, platelets, hemoglobin, mean corpuscular concentration, mean corpuscular hemoglobin, mean corpuscular volume, red blood cell count, and white blood cell count. CMP includes Albumin, Albumin/Globulin Ratio, Alkaline, Phosphatase, ALT, AST, BUN/Creatinine Ration, Calcium, Carbon Dioxide, Chloride, Creatinine with GFR Estimated, Globulin (calculated), Glucose, Potassium, Sodium, Total Bilirubin, Total Protein, and Urea Nitrogen. Lipid Panel includes HDL, LDL, cholesterol, triglycerides, and cholesterol/HDL ratio. Glucose screening measures the amount of glucose in the blood. Hemoglobin A1c measures the average glucose level in the blood for the last 3 months. Thyroid Panel includes a T3 Uptake, T4 (thyroxine), and a TSH. PSA (Prostate Specific Antigen) is a screening tool that should be used along with a digital rectal examination (DRE) conducted by your physician; available to men ages 50 and over or men under 50 with a physician’s order. All blood tests above are fasting tests, (except the thyroid panel, prostate specific antigen, and hemoglobin A1c) a 12-hour fasting period with only water during that time is best. Doctors may send over an order for other blood tests not listed above and we may be able to perform these upon request. Bloodwork must be paid on day of service, contact our staff at 309-837-9951 ext 227 to set up an appointment. Blood pressures can be performed Monday and Tuesday mornings and Wednesday and Thursday afternoons.